The HIV Stigma Scale is a measure that assesses stigmatization perceived and experienced by people living with HIV/AIDS (PLWHA). 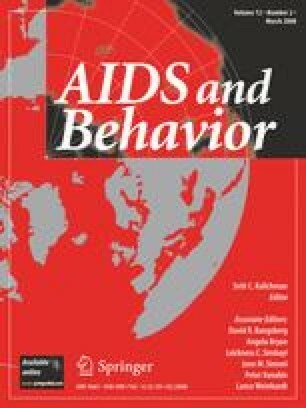 Using Item Response Theory (IRT) methodologies, the present study examined HIV Stigma Scale responses from 224 Black and 317 White PLWHA to determine whether cross-cultural differences exist in responses to items of the scale. IRT analysis revealed that eleven out of forty items functioned differently across groups. Black respondents had a higher probability of indicating greater stigmatization on items that described situations in which others discriminated against them, and White respondents had a higher probability of indicating greater stigmatization on items that described a resolve to keep their status a secret and fears of interpersonal rejection. These differences suggest that PLWHA have different experiences of stigma based on their ethnic/racial background, either because of cultural differences or the ways in which the participants interpreted items of the HIV Stigma Scale. This study was supported in part by an Academy for Educational Development/Ford Foundation grant awarded to John Pryor and Bambi Gaddist. Deepa Rao is supported by a National Institute on Disability and Rehabilitation Research (NIDRR) Advanced Rehabilitation Research Training grant (H133P030002). The authors would like to thank Elizabeth Hahn, M.A. and Randall Horton, Ph.D. for their helpful comments on earlier drafts of this article. The authors also thank Letitia Johnson-Arnold for her contributions in collecting the data from South Carolina participants. These results were also presented at the 16th International AIDS Conference in Toronto, Canada.